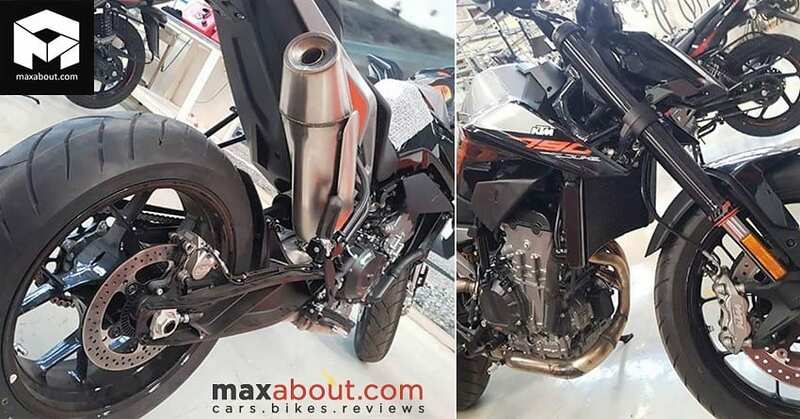 KTM 790 Duke has been spotted for the first time at a dealership in India. The flagship streetfighter from the brand for India, 790 Duke is expecting a launch event in March 2019. 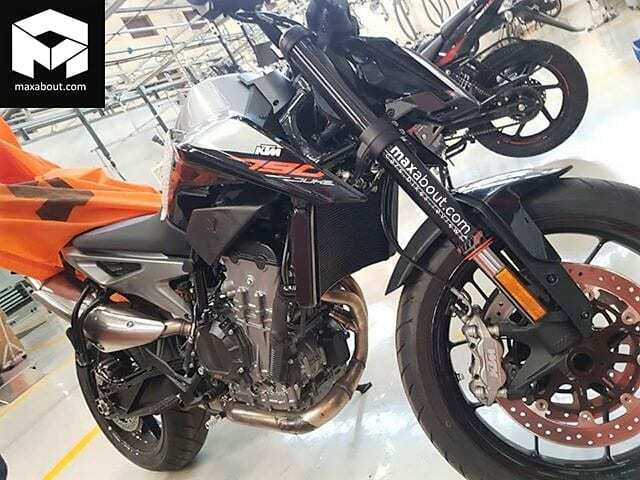 The availability of the model as a CKD product seems the right way of entry for the KTM 790 Duke as the model spotted here would have been with a couple of others if production would have started in India. 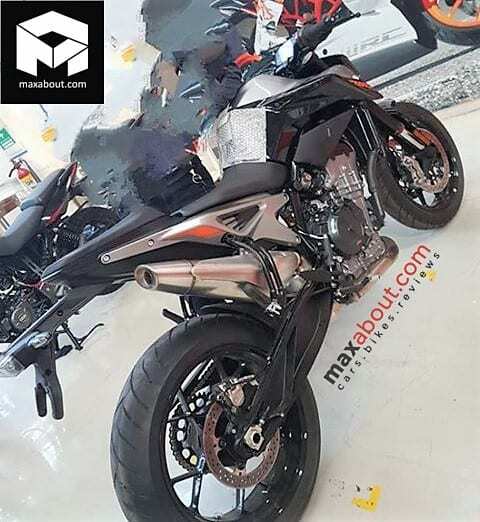 The image also shows a Pulsar in the background, hinting that the place could also be a warehouse for KTM and Bajaj bikes. One of the images also shows a huge KTM banner in the background. 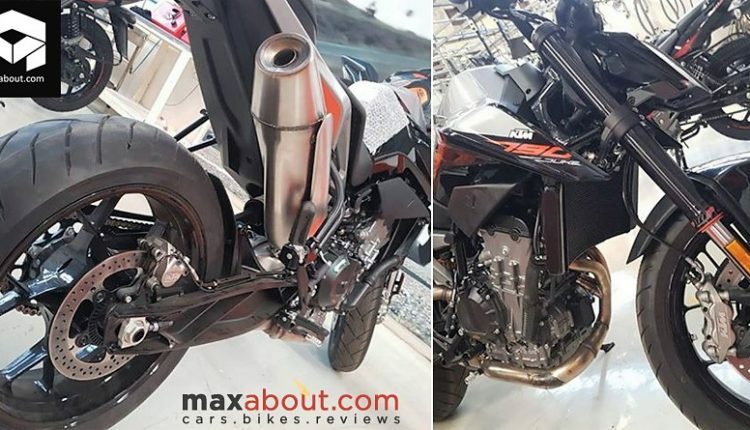 KTM 790 Duke is seen with the same raised exhaust, slightly curved radiator and sharp tank extensions. The image from the lower rear section shows impressive ground clearance and absence of underbelly protection while the one from the front shows sleek tank extensions and headlight combination. The motorcycle is seen here in the Black shade while Orange may also be on the cards during the launch event. The seat looks comfortable from the first glance and images on the official website also show a balanced cushion for the pillion. 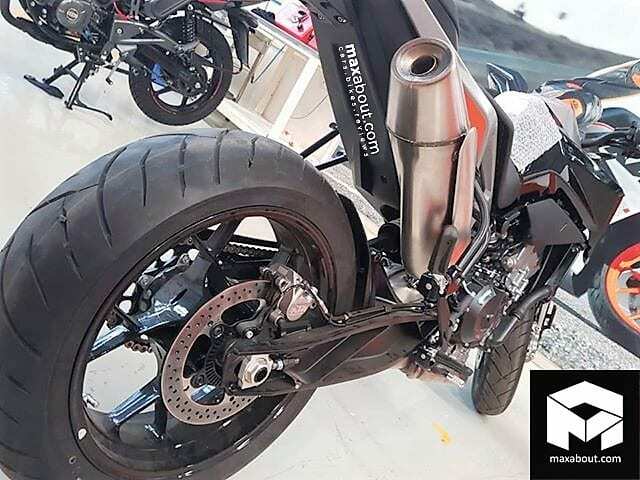 The engine on KTM 790 Duke is a powerful 799cc, twin cylinder engine, producing 105 HP at 9000 rpm and 86 Nm at 8000 rpm. The engine comes mated to a 6-speed gearbox. KTM 790 Duke carries the most advanced electronic features in comparison to all other models in this segment. Recent reports are hinting at a much higher price tag of around INR 7-8 lakh for the Indian market. We feel that KTM should undercut its rivals by at least INR 2 lakh, and price the 790 Duke at around INR 6 lakh (ex-showroom).